Sit, down, and stay with me while I discuss the important topic of puppy vaccinations. Preventative measures, such as vaccinations, are a great way to reduce health risks that threaten your puppy. Keeping your pup up-to-date on their shots is often required by law. Many places have rules that require you to show immunization records for your pets to use their services. These include airlines, dog parks, apartments, boarding facilities, and dog grooming salons. You are taking the first step in getting your furry friend protected by reading this. Now, let’s dig deeper and learn about the vaccinations and the diseases that they prevent. What is the 5-in-1 Shot for Puppies? Can puppies go out into the garden before injections? How many shots do puppies need before going outside? The 5-in-1 shot for puppies, also known as DHLPP, protects against Distemper, Hepatitis (Adenovirus), Leptospirosis, Parainfluenza, and Parvovirus. When should 5-in-1/DHLPP be administered? This DHLPP vaccination is recommended for puppies as early as 6 weeks of age, followed by three follow-up doses before your puppy reaches 16 weeks of age. After this initial round of vaccinations, it is recommended that you get your pup an annual booster. Canine distemper is a viral disease that spreads through the air. There is no known cure for canine distemper. However, some dogs will recover following prompt medical treatment. It is extremely contagious and presents with the following symptoms: high fever, coughing, runny eyes and nose, lack of energy, vomiting, lack of appetite, diarrhea, seizures, and paralysis. Canine hepatitis is caused by a virus called adenovirus. It is transmitted through infected urine and feces. This disease can be fatal. Symptoms include: cloudy blue eyes, fever, lethargy, abdominal pain and distention, tonsillitis, and lack of appetite. Leptospirosis is a serious bacterial disease. It is zoonotic, meaning it can be transmitted to humans from animals. The bacteria (genus Leptospira) is transmitted to pups through infected urine and/or contaminated water. If caught early, antibiotics can help reduce the damaging effects and shorten the duration of the illness. Symptoms include: fever, pain, loss of appetite, pink eye/conjunctivitis, and later symptoms include jaundice, change in urine appearance and frequency, difficulty breathing, dehydration, tremors, and organ damage. Parainfluenza, or canine influenza, is a highly contagious viral infection. Due to its high contagion factor, many vets will treat the dog with antiviral medication to prevent spread even though recovery is likely. Symptoms include: fever, difficulty breathing, dry cough, and runny eyes and nose. Parvo is a viral infection that is highly contagious and often fatal for young puppies. It is transmitted through feces. The vaccine takes up to two weeks before it is effective in protecting your dog from illness. Symptoms include: Weight loss, bloody diarrhea, vomiting, dehydration, shock, and possibly death. Bringing home your new puppy can often be stressful – potty training and socialization can make you feel like you’re on a short leash. But vaccinations don’t have to be part of that stress. Aside from the 5-in-1 vaccine, you may be wondering what vaccines will be the most important for your puppy. Let’s go over some of the most vital immunizations. 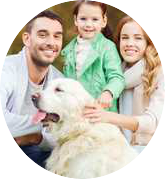 Core vaccines typically include rabies, distemper, hepatitis/adenovirus, and parvovirus. These ladder three diseases are covered in the 5-in-1 vaccine. Your veterinarian will use your location and your furry friend’s health to help you determine the necessary vaccines. Rabies is a viral, zoonotic disease. The virus is typically spread through the bite of an infected animal. Rabies can be prevented if quickly treated before symptoms appear. The disease is fatal after symptoms emerge. This vaccine is required by law in most states. The recommended age is 4 months old. It is required every 1-3 years, depending on the laws in your state. Discuss your options with your vet. Symptoms of rabies vary by type but can include: anxiety, excessive drooling, paralysis, aggression, behavior changes, fear of water, loss of appetite, frequent urination, and death. Bordatella, also known as kennel cough, is a bacterial infection. The vaccine is often required at boarding facilities due to the contagious nature of the infection. Puppies can be vaccinated at 18 and 20 weeks and receive boosters annually. Symptoms include: cough, gagging, sneezing, loss of appetite, and nasal discharge. Although these are not vaccines, medications against heartworms, fleas, and ticks are important to preventative care. The delivery method varies – from pills and treats to collars or direct placement on their skin. The frequency of delivery will depend on the type of medicine used. These parasites can be disastrous for your puppy. Heartworms are transmitted by mosquitoes and lodge in the heart. Without treatment, heartworms can lead to death. Ticks spread diseases like Lyme disease. 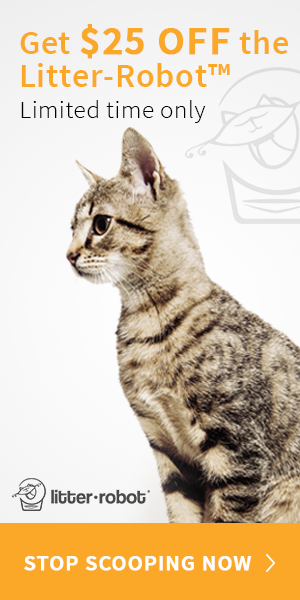 A large flea infestation can lead to anemia and other issues. There is a vaccine available for Lyme disease. The best treatment, however, is through preventative measures. Yes, your puppy can play in private gardens and your backyard before injections. However, it is crucial for their safety to know where the appropriate places are to let them roam free before their vaccinations. There is an appropriate amount of time to wait after vaccinations before allowing your pup to go to beaches, dog parks, and walking trails. Vets recommend you wait 10-14 days after your puppy’s last vaccination before exposing them to other puppies and very public places. This might seem overly cautious, but your puppy’s immune system is still developing and is more susceptible to canine parvovirus, canine distemper, and other dangerous viruses. Puppies usually begin getting their shots between the ages of 6-8 weeks old. Every 3-4 weeks the puppy should receive shots until 16-17 weeks old. After that, you should wait about 2 weeks before bringing your puppy to a new environment. However, vaccinations are not a one-size-fits-all deal. It is important to talk to your vet before determining the appropriate vaccinations and schedule your dog needs. All vaccinations they received from their breeder, previous owner, shelter, etc. Your puppy must receive vaccinations within their first 6-8 weeks in order to be protected from multiple diseases. Even though this may become costly, it is crucial to the health and safety of your dog. We have just discussed a number of different illnesses, their vaccinations, the proper steps to take before/after vaccinations, and costs. Even though the long list may seem a bit overwhelming, it is important to take action early so your puppy can live a happy and healthy life. I'm Leigh - Blogger, Mom to Harley our Labrador and Lilo our cat. Petsho is my outlet to share about our lives with our pets. Click to Get $25 OFF! Hi, I'm Leigh. Pet blogger, wife, mom to Kelsey, Harley (our Labrador) and Lilo (our cat). Welcome to Petsho where I share my research about pet care tips, products I swear by for Harley and Lilo as well as my journey as a pet mommy. Petsho.com is a participant in the Amazon Services L.L.C. Associates Program, an affiliate advertising program designed to provide a means for sites to earn advertising fees by advertising and linking to Amazon.com. Check out this week's Black Friday deals for crazy discounts on pet supplies!